Darcy Lee Donate Me Money So I Can Buy A House VirTual ReaLity Artificial Intelligence 911: Robot Origami Robot Self-Folds Walks and Completes Tasks. Robot Origami Robot Self-Folds Walks and Completes Tasks. 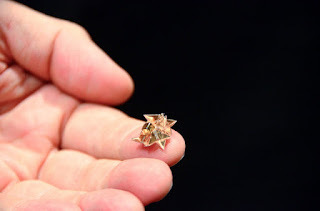 Robot Origami: Robot self-folds, walks, and completes tasks. Saw this today on a news website. My opinion is that they have already shrunk similar tech to a nano scale. It can tap into your optic nerve and see what you see and upload pictures to your mind. This video is interesting though. It's a very new video at the date of this post. It's only 6 days old. 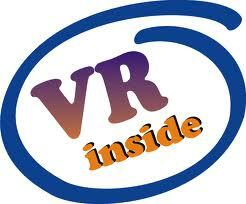 Check it out it gives a good insight in what to expect of technology of the future. I think I was looking at smart cities when I stumbled across this. A smart city is a city that tracks movement everywhere. Should help with crime but not with privacy. Privacy is definitely an issue. The Govt want to read your mind. Steal from you. The bible doesn't help. There was world war one and two. The bible didn't help people then. There is still hope. But it looks like i'm to live a life of torture and doom.